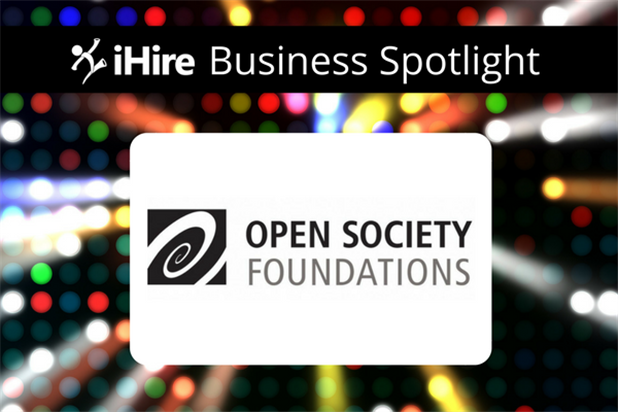 We’re excited to shine the spotlight on Open Society Foundations! Open Society Foundations, founded in 1979 by philanthropist George Soros, is a family of offices and foundations located throughout the world. They provide funding for hundreds of groups working on issues in five core areas: education and youth, governance and accountability, health, media and information, and rights and justice. We recently caught up with Maryann Aita, Recruitment Administrator, to learn more about what makes Open Society Foundations an exceptional place to work. Question: What makes your company culture unique? What makes Open Society Foundations a great place to work? MA: We are the second-largest global philanthropy that supports hundreds of programs worldwide. Our team members are motivated and passionate about doing good in the world. On the benefits side, we offer unique perks such as daily catered lunches and opportunities to learn about first-hand experiences from those participating in the programs we support. Employees can also join our intramural soccer teams, enjoy paint nights, perform at story slams, and attend various other social events. Question: What are the responsibilities of the Recruitment Administrator at Open Society Foundations? MA: I manage interviewing logistics for all US offices including scheduling, arranging travel for in-person meetings, and handling temporary staffing requests. We source candidates locally and around the world, so I also help applicants with navigating the complexities that come with an international job search. Question: What are your biggest hiring challenges? MA: Open Society Foundations often needs very specific subject matter experts for our programs, and they can be very hard to find. We’re also looking for people who have administrative skills and might be interested in learning about social justice and global rights. Because we are a grant-making company, we have a hard time retaining people with administrative skills. Question: How do you hope iHire will help you with those challenges? MA: We’re excited to use iHireAdmin to find career-oriented people with strong administrative backgrounds. Plus, iHire’s other industry-focused sites will help us zero in on candidates interested in operations and financial careers as well. MA: We’ve found it helpful to have multiple perspectives on a potential hire, so we do panel interviews. When a candidate progresses from the phone screen to a panel interview and all parties involved agree on a final person to hire, we’re confident we made the right choice. Job seekers: looking for a rewarding career? Check out Open Society Foundations’ open positions and apply today!